Sometimes even the best cleaned houses have an odor that is hard to get rid of or lingers. Below are just a few tips and suggestions that will help have that Fresh Smell!!! 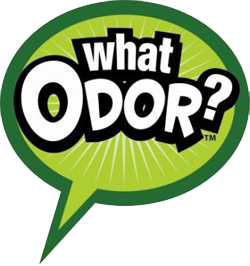 The most important factor is to find the source of the odor and eliminate right away! Light a candle-Soy is best. Use plug ins-Clean linen works great. Use a spray-Natural scents with order eliminators are wonderful! Open windows and let your home air out. Cooking odors-After meal, boil 1 cup white vinegar and 2 cups water for 5 minutes. Dishwasher-Use baking soda instead of detergent. Run without dishes. Garbage Disposal-Limon or Lime slices with pieces of ice grind until gone. Pet-Use activated charcoal pet absorber. Very inexpensive and can be found everywhere. Pet Urine-Use white vinegar and water. Dap on area. Clean with water and pat dry. Refrigerator-Box of baking soda in back, opened. Change about every 3 months. Toilets-Use 1 cup of Clorox, pour in back by plunger. Let stand for 1 hour. Use as usual. Washing Machine-Use 1 cup Clorox and run an empty load. Clean air ducts and filters on a regular basis. Clean with white vinegar often. Remove shoes before you come into your house-use socks to prevent the oils from your feet to run on the couch. These are some of the most quickest and common ways to help Bust Odors! If you have more to share…please do!